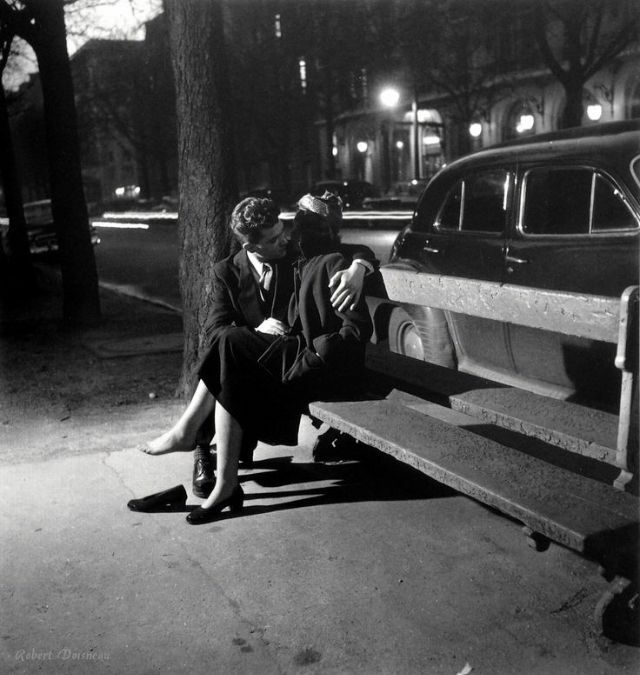 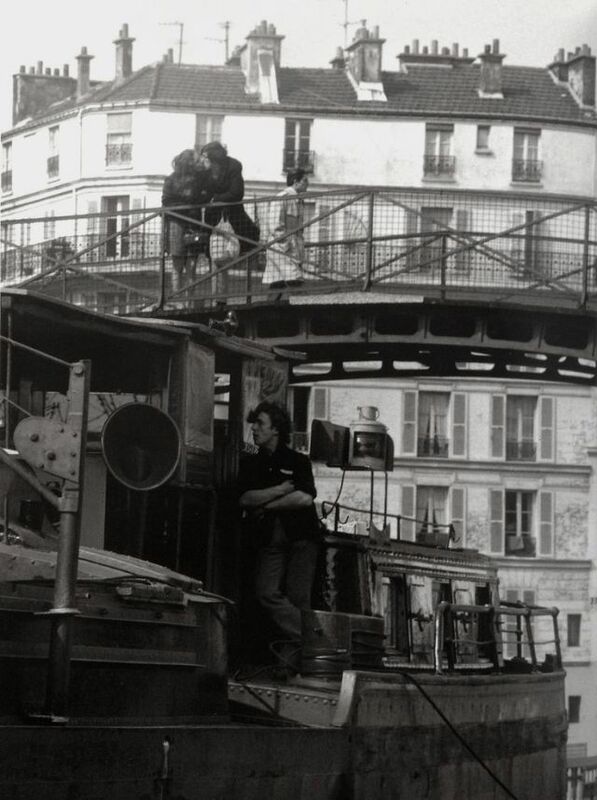 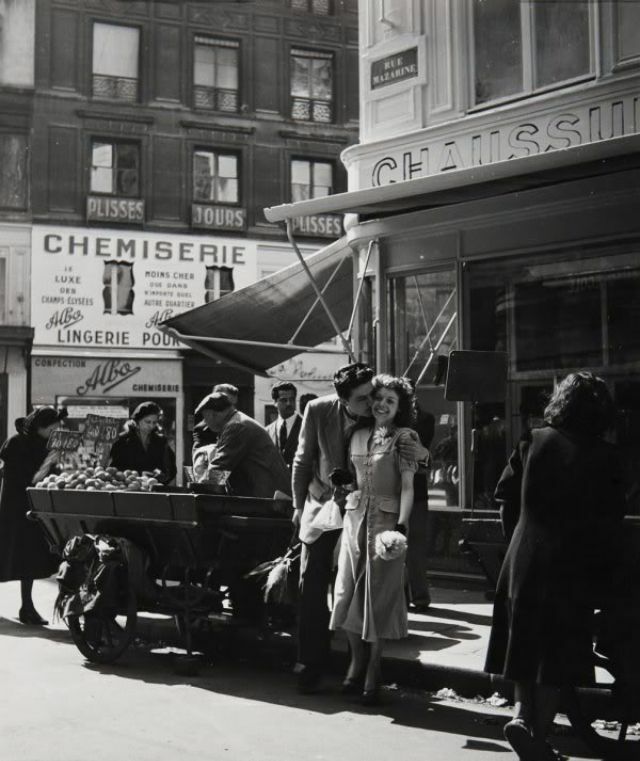 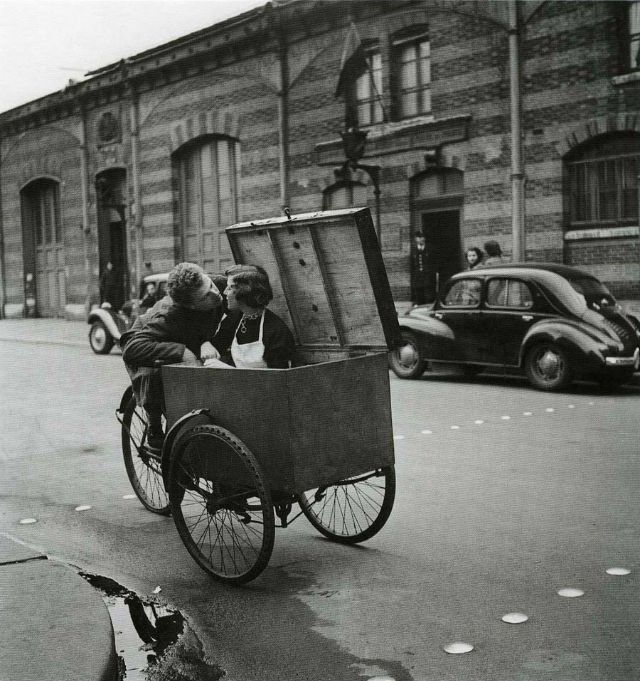 French photographer Robert Doisneau (1912-1994) made photographs on the streets of Paris in the 1930s. 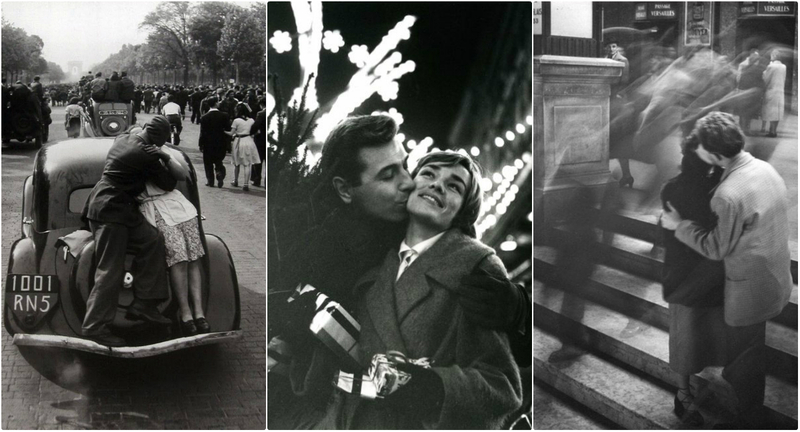 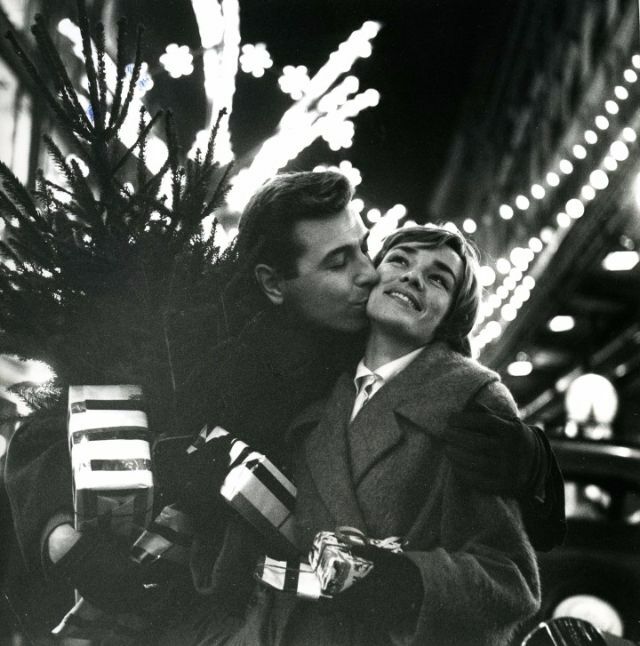 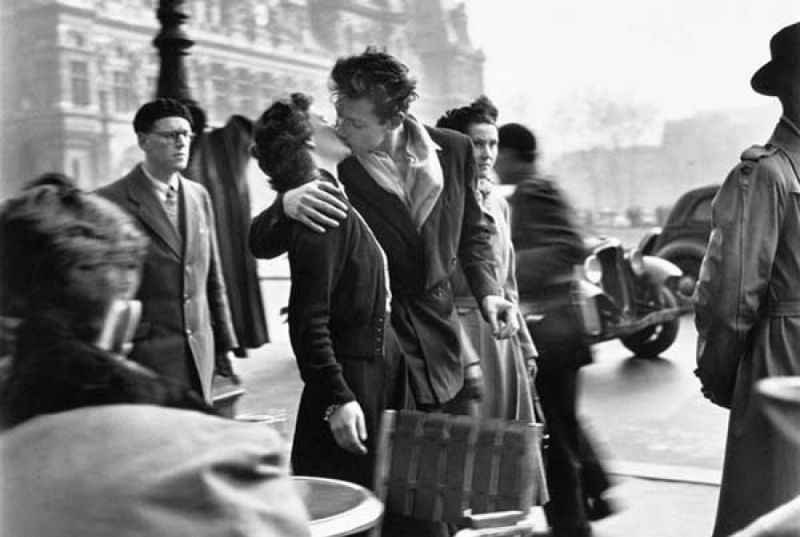 He was a champion of humanist photography and with Henri Cartier-Bresson, a pioneer of photojournalism. 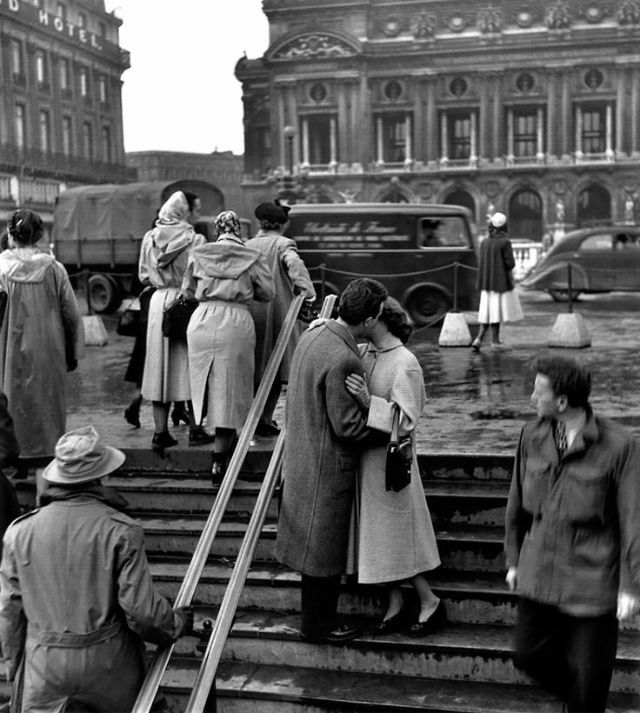 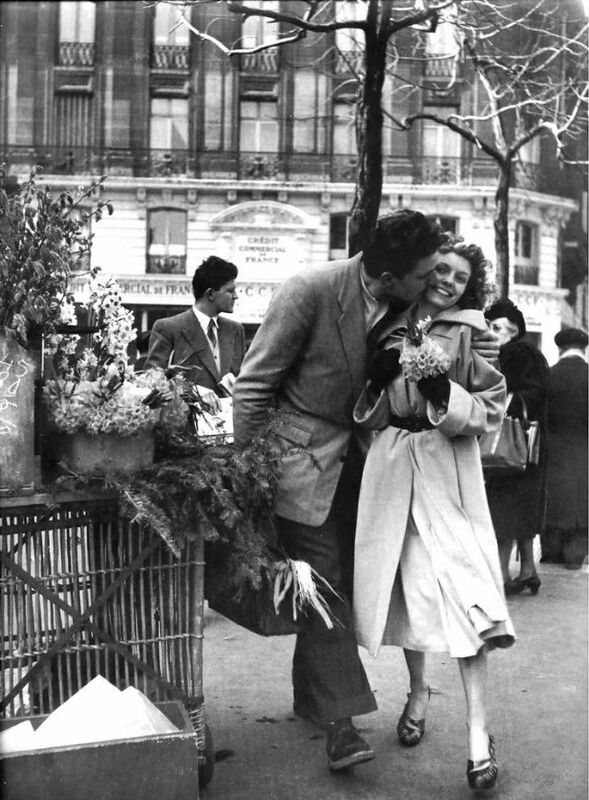 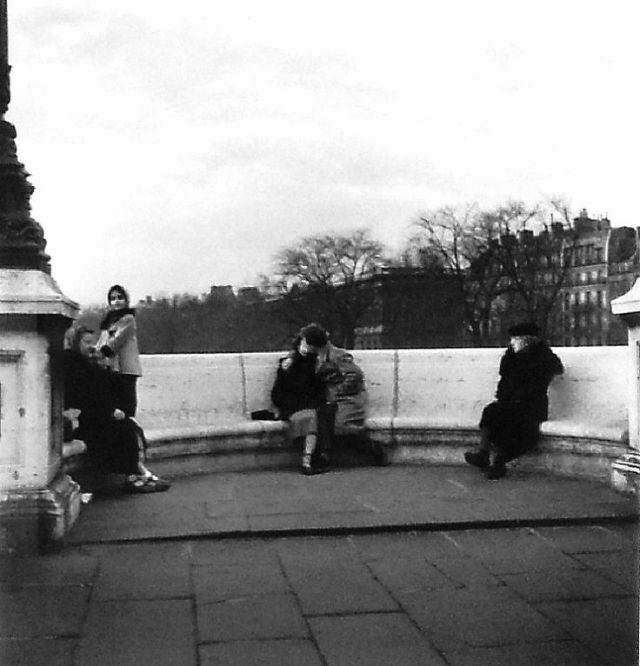 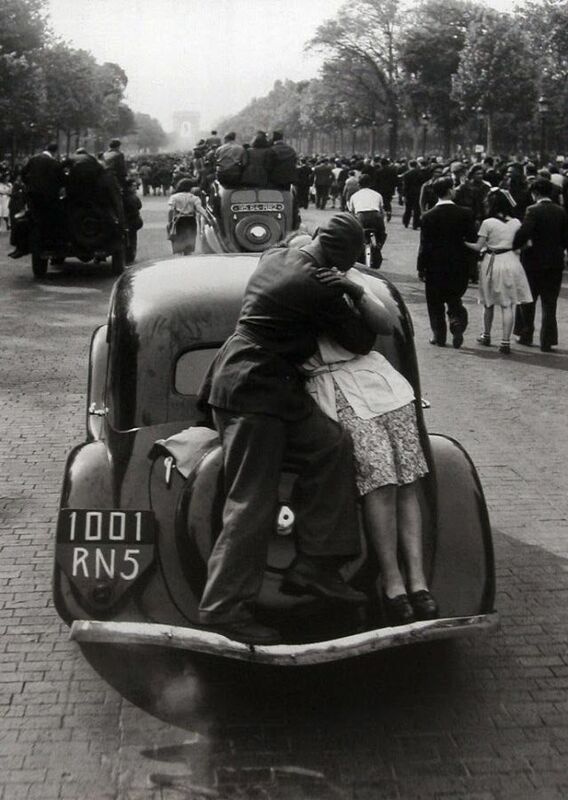 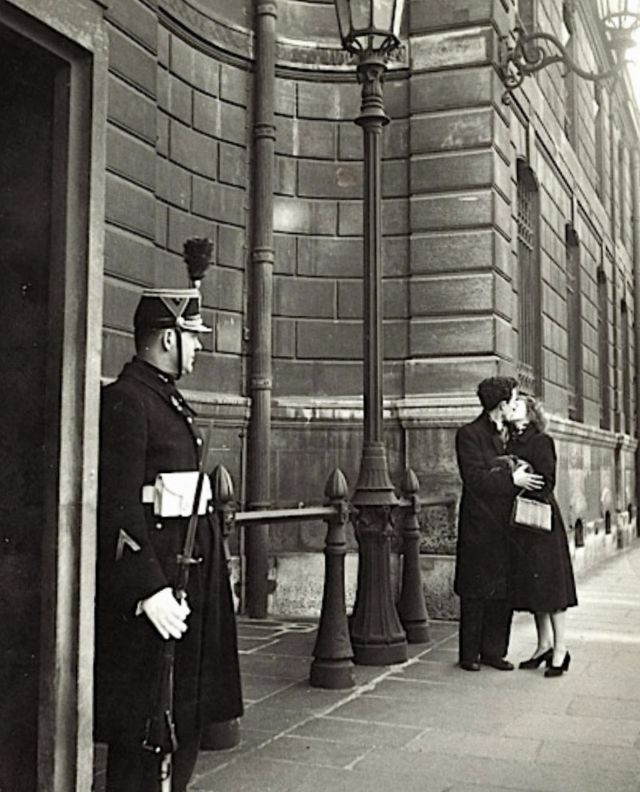 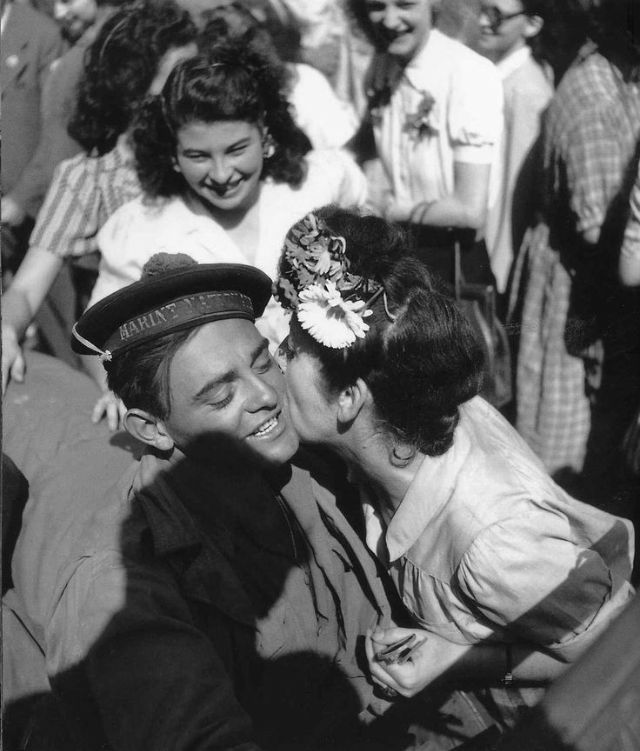 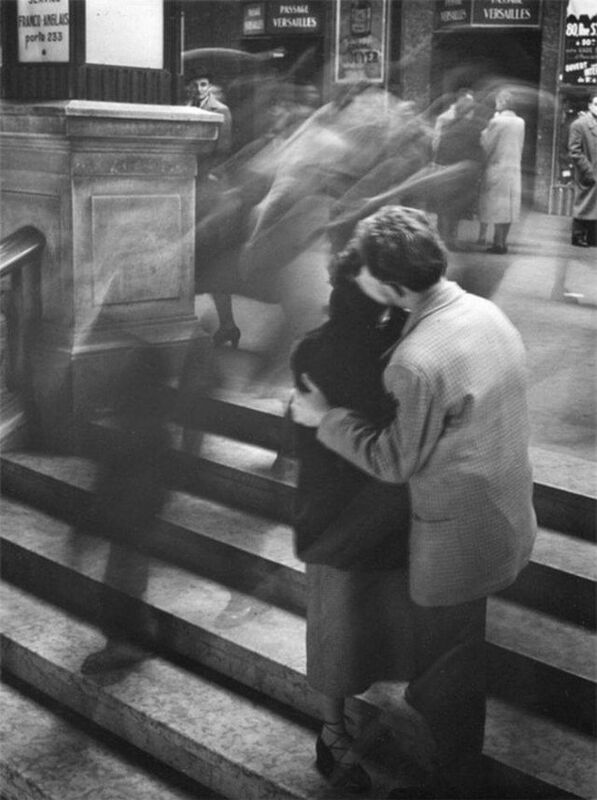 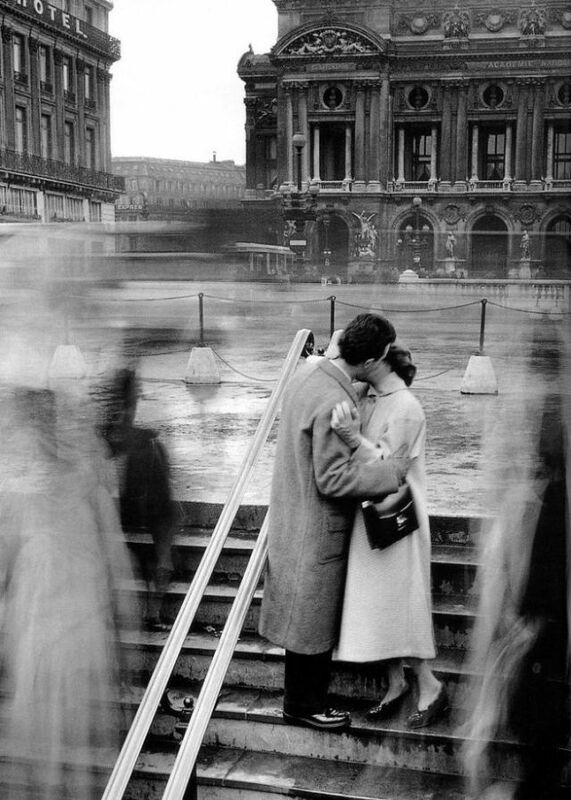 Doisneau is renowned for his 1950 image Le baiser de l'hôtel de ville (Kiss by the Town Hall), a photograph of a couple kissing on a busy Parisian street. 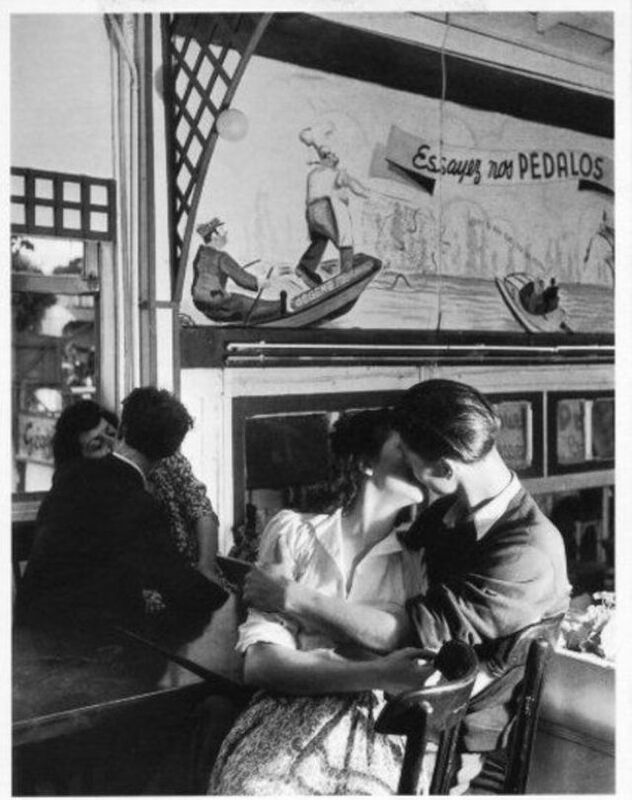 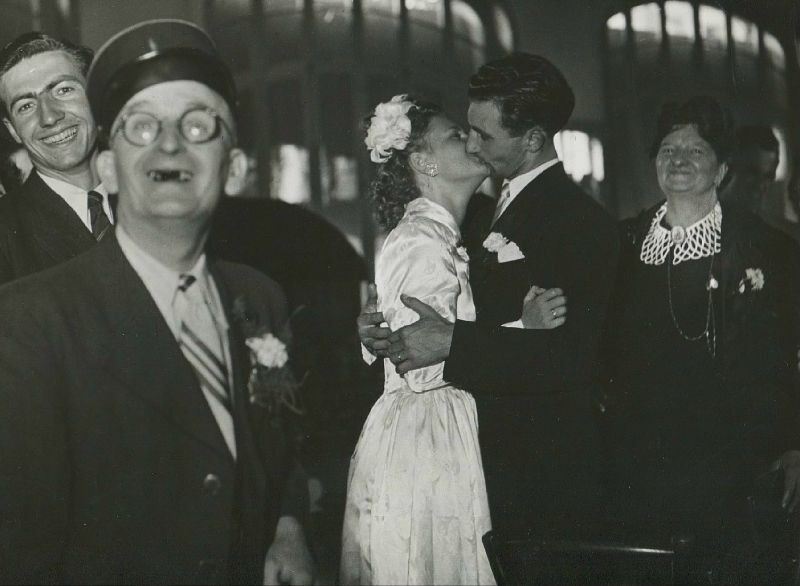 But it's not his only picture of kissing, check out these sweet photos to see more of his work.